This outfit is designed to support you through your most intense sweat sessions. 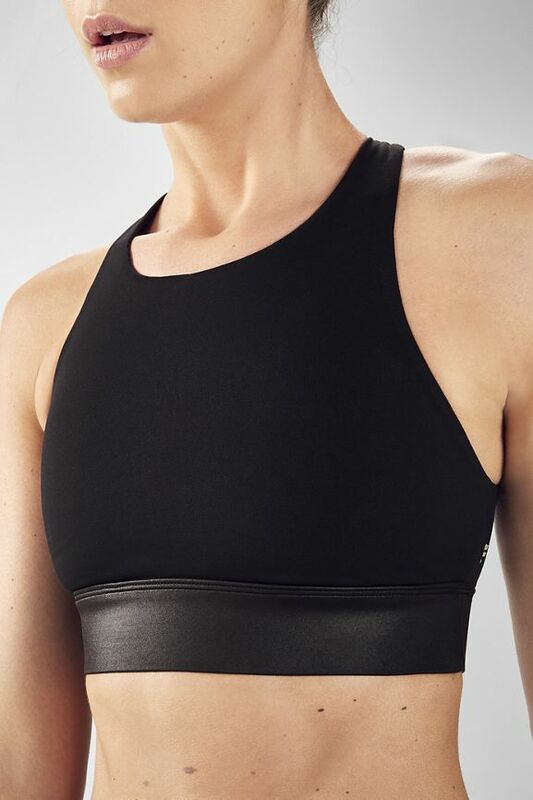 Our Ella high-impact bra gives you support, while PowerLite leggings with mesh details help you breathe through the intensity. Basic black has never looked so good! 89% of members who purchased the Core 2-Piece Outfit recommend it. Love this so much I got this in 2 colors. Great support for running and biking! LOVE THIS BRA. I got a few bras that were all medium and while the others fit pretty perfectly this is a hair on the tighter side, but that means nothing is going anywhere. So supportive and SO CUTE. Great for anything high intensity. Highly recommend! This is my game day bra, it fits well and keeps everything together. The shine at the bottom is different which is what makes it special to me. Very cute leggings but the waistband feels more restrictive with not enough stretch, so it wasn't comfortable for me, especially with being a mid rise. I really love these. So far, the mesh doesn't seem to hurt my knees when doing floor exercises which was my main concern. These are not as stretchy as the trinity pocket, and the seams cut into my inner thighs a little bit, but I do not mind. These bottoms were very comfortable! The sizing seems weird with these ones - and the band on the waist band is uncomfortable. I'm exchanging. These are good leggings, however they fit a little tight on the thighs and a little loose on the waist. I like the style and it fits perfectly. I didn't like the material. Material is scratchy and uncomfortable. Love the mesh detail on these super comfortable leggings!